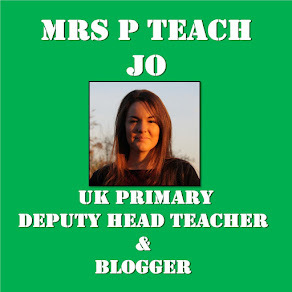 Ever since OfSTEd, at a meeting with education bloggers, confirmed that in most cases inspectors should not be giving judgements on individual lessons, I have deliberated again and again about my thoughts on the matter. 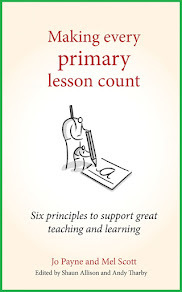 I read the blogs of those in the meeting, followed by Mike Cladingbowl’s Guardian article and then the blogs of “mere mortal” teachers, those of us in the classroom day in and day out. As I read each article, the same question went through my head – is this a good idea or a bad idea? When I had two PGCE students in March, I came to think about observations again. Their university required me to give four lesson judgements and a judgement per standard in two separate reports. As I was sat there giving them feedback from their first observation, I saw what I know I have done in many of my own feedback sessions; they waited for the grading and reacted to it. I did it throughout my NQT observations. Good = nod and smile. Outstanding = “YES”. Satisfactory = “ok” and head down. Without the written feedback I received from my mentor, I couldn’t remember my strengths or areas for development. I remembered the judgement. The judgement defined my teaching…for six weeks before the next observation. Did the judgement change my teaching? NO. Did the judgement change my confidence and pride? Yes – sometimes for the better and sometimes for the worse. The same was true for the students. So, as I sat there giving meaningful and constructive feedback to these lovely PGCE students so early in their teaching careers, my mind was made up about observations. For them, observation process would have been much more effective without an observation grade. That way, the focus would have been on improving. Rather than aiming for a “good” grade or an “outstanding” grade, my students would have focused solely on what they needed to do to improve. Their confidence wouldn’t have been shattered or their pride overflowing. Their immediate next step would have been what they remembered and worked towards, with my guidance. My own performance management observations this year show how fluid and unreliable the grades are. In three lessons I’ve been given three different grades. They were fair grades and were exactly what I would have given myself. So what grade would my teaching overall be? Am I an “outstanding” teacher? Maybe good? Or does my teaching require improvement? In any lesson, I’d say the latter. Not in the “used-to-be-satisfactory” sense of the word, but because there’s always something I can do to improve. Removing a grade from the observation process would mean the focus is shifted from attainment to improvement. If that were the case, I wonder if teachers would welcome more observations. I know I certainly would. After all, it’s the negative grades we’re all afraid of. I would love to be observed by more-experienced teachers in a formative way, where the aim for both of us is to make improvements. That would encourage me to do what I always do rather than perform for the grade. It would be an extra pair of eyes in my classroom giving me an insight into my teaching as opposed to someone making a judgement and checking off a tick list. Surely then, the more often someone comes into your classroom, the more rounded their view is of the teaching and learning that occurs. Therefore, when it comes to a time for making necessary judgements, as I understand there is still a need for, they will have the clearest view of your impact on learning. I realise that removing judgements could be difficult when it comes to performance management however there are schools which have done this successfully and whose professional development programmes sound incredibly formative and collaborative. They sound like a pleasure rather than a chore and are solely aimed at improving teaching and learning. I hope that OfSTEd’s original announcement was to create that atmosphere in more schools, rather than just shock and shake-up the education world. I just wish the message about "no observation grades" would get out there to teachers, leadership and to Ofsted themselves! We were graded in every lesson just a few months ago and I know I am a good teacher and I know I need to improve, but did the feedback reflect this? No. It made me think of when we mark books. Do we say to a child that their work is good/great/whatever or do we mention the positives and then give some next steps? That's exactly what we should have as teachers. So let's spread the word from Ofsted and hope it gets heard by those that matter! A great blog post and I know many times I have reflected more on the grade given then the feedback I had been given. I also think an issue is the wide ranging agendas different people observing have can have such an impact on the grade given and can be a frustration rather than just focusing on the teaching and learning. Great blog post. Totally agree.